Technically speaking it's not my first quilling project. I made a quilled birthday card for my brother-in law last year. But that was so long ago that I forgot all I had learned about quilling. So this recent quilling project should be considered my first. 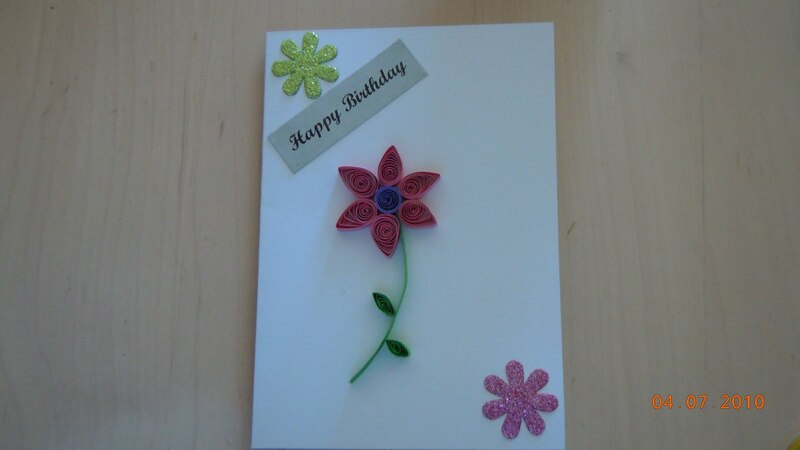 This one is also a quilled birthday card. This time I have made it for my brother. It is a simple quilled greeting card . I hope he likes it. I should have done something to outline the borders. But I didn't get the time to decorate the card. The weekends are a big mess and chaos. Instead of getting any help from hubby dear, I get carried away in all the hoopla that he makes with kids.